What do you do when you own roughly 6% of a multibillion dollar company – the largest stake outside the company – and have decades of experience in working with different businesses, but when you nominate four people to its board the only response you get is a brief phone call? If you are Third Point founder and manager Dan Loeb, you go to the mattress. Enough is enough, especially in this case. 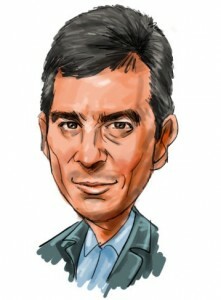 Loeb has been battling Yahoo’s board since the third quarter 2011 when he initiated his fund’s position in the company. Originally, the issue was Board Chairman Roy Bostock and Founder Jerry Yang. Loeb was no fan of their antics and eventually called for their resignations as a concerned shareholder. After months of trying to provoke the change, Loeb won out. Yang resigned in January while Bostock is slated to retire after the annual shareholder’s meeting, along with several others. Unfortunately, that was not enough to end Loeb’s problems with Yahoo’s board. Recently, Loeb made the move to nominate himself and three others to the board – Maeva Group CEO Harry Wilson, former MTV Networks President Michael Wolf and former NBC Universal CEO Jeff Zucker. Together, Loeb thinks that the four of them will be able to help Yahoo become the best company it can be. Loeb also explained that he wanted to develop a planning committee with the Yahoo board to help it maximize its resources to compete in the current environment. Loeb called the board’s reaction “disappointing,” saying that it “indicates an unwillingness on your part to seriously consider the Shareholder Slate, choosing instead to spend the Company’s resources and management’s time fending off our bona fide efforts to make Yahoo! great again.” With that in mind, Loeb announced his intention to file a Preliminary Proxy Statement with the SEC. Only time will tell how Thompson responds to Loeb’s very earnest request, but one thing is certain – things at Yahoo are going to change one way or another.